Lately I found myself in the teaching and tipster mode. I realized that some unknown force have rekindled my love for teaching. It’s teaching in the clinics that I have learned to love this time. I have nothing against teaching in the classroom because that is the foundation of all the basic knowledge we have about almost everything, of course aside from the basic learnings and values being taught to us by our folks at home. Teaching in the clinics is unique. We can even teach ourselves and reinforce our knowledge with the wisdom of our senior residents and medical consultants – wisdom that is invaluable because it backed up by experience. 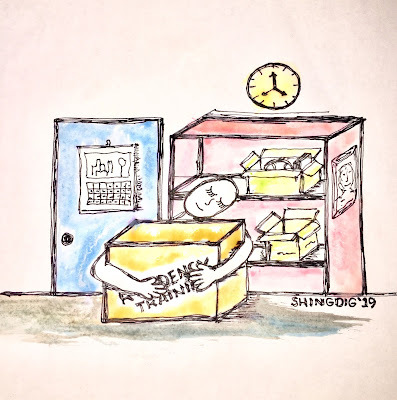 As for teaching the medical interns, I always try to emphasize that being in the clinics is way different from the environment they have been used to in the classroom. In the clinics, it’s the real deal – we see patients, we delve deeper into their presenting complaints, we formulate our clinical impressions, and we work them up to arrive at the final and correct diagnosis. Along the way, we verify our findings in our patients with what is written in our books, thus solidifying our clinical knowledge, and hopefully, sharpening our clinical acumen or what is fondly called the clinical eye. Let me mark this tipster/teaching mode with a list of tips for the interns on how to get through the hell called internship. It might be too late now, considering that they are halfway beyond their internship, but I believe these tips will come in handy for incoming interns. I hope these tips will shed light to an intern who chances to find this entry. I don’t actually promote my blog, and only a few know that I have one. If an intern happens to drop by my blog and read this entry, I hope he or she finds it worthy to stumble upon. 1. First and foremost, accept your situation. Internship is your fate. It is your destiny. Internship is you’re here and now. You have worked hard for it for three years, and hey, don’t forget to include the three to four years you spent studying for your pre-medical course. That makes it seven to eight years of toil before finally becoming a medical intern. A lot of people are actually dying to be in your place right now. You are actually on your way to fulfilling your dreams (or your parents and relatives’ dreams) of becoming a doctor. Acceptance is the first key to success. Accept internship as a blessing. There is a song that goes, “Count your blessings, name them one by one/ Count your blessings see what God has done.” Accept and name internship as one of your blessings, and thank God for getting you through the academic part towards internship. 2. Cultivate diligence and hardwork. Ward work, scut work, dirty work, those are the tasks laid on your shoulder as an intern. You are at the bottom of the food chain. Somebody’s got to start somewhere. That bigwig consultant was once an intern. Make that as your inspiration, and focus on the doughnut, not the hole. Think of internship as your initiation, your rite of passage, into the medical circle. While you have the chance to perform procedures, go ahead. Refrain from complaining, and aim towards achieving mastery in performing procedures like IV insertion, NGT and FBC insertion, etc. Read as much as you can about your cases while you are on duty. You are more likely to sleep when you are not on 24-hour duty so you might as well read what you can, complete whateven paperwork you need to finish while you can and while you are still wide awake. Be early. A Filipino adage goes, “Daig ng maaga ang masipag,“ but of course it would be better if you are both bright and always on time. 3. Practice the virtue of patience. You may want to want each day to spin fast forward to your last month of internship but that will never ever be the case. Take each day as it comes, and make the most out of each day. Do what you can while you can still do it. Aside from the fulfillment of helping to save a life, try to make it a point to have another reason to pat yourself on the back like, a new learning or a new skill or a completed task. As much as possible avoid procrastination especially in your paperwork. Patience is a job requirement in the medical profession. In almost every step of your career, you will meet a number of characters, and will find yourself in a situation, who will, and where your patience will be tested. Internship is just the beginning of it all and it does not even come close to the tip of the iceberg. 4. Get enough rest. Interns are sleep deprived. Sleep deprivation is that sinking feeling trying to swim over a sea of thick chocolate. Take your vitamins. Eat healthy food. What you miss out in sleep you make up with intake of a lot of good and healthy food. Drink a lot of water. 5. Learn to unwind. You have to find ways to be happy inspite of your situation. 6. Maintain an enthusiasm for learning. Read and do all you can while you’re on duty. Also, make it a point to have complete medical tools required in your rotation. 7. Maintain a positive attitude. Need I say more? This too shall pass. A positive attitude will also help you maintain a good rapport and relationship with your superiors and your fellow interns. Nobody wants to be around someone who’s always grumpy, someone who always complains, and radiates nothing but negative vibes. 8. Anticipate. A resident loves an intern who anticipates what’s next to be done and down the line. A clever intern who’s full of initiative that right after the resident successfully inserts the IV catheter, he would need a plaster to secure it. It would speak a lot about you as an intern when you wouldn’t even give the resident the chance to ask for something like the plaster because you are handing it already to him. The resident would know through that that the intern knows what he or she is doing and is not just a mere errand girl or errand boy. This for me is actually the secret of internship so you wouldn’t be reprimanded or lectured upon by the stressed resident. 9. Stop keeping track of the tasks you have done for your groupmates. If there is one sure formula for a group’s downfall and for a group member to be really disliked by the whole group is to keeping count of the tasks you have done for your group. As much as you can, go out of your way for the group’s sake. Any task left undone by a groupmate will tarnish the whole group’s reputation. It would also help that from the start the group agree on a consensus to help each other and cover up for each other’s asses no matter what. 10. Dress appropriately. Observe good hygiene. No matter the situation you are in right now, you are still a doctor, even if you are still one or two steps away from it. Make it a point to freshen up yourself at least twice a day or as often as you can, especially when you feel that your face is as oily as a frying pan already. Brush your teeth ever after meals and please, comb your hair, and at least apply deodorant or spray on some fragrant body mist. Maybe try to disguise with all that scent and aura that you didn’t have the time to take a shower at all . Though I'm still a med student and won't be an intern till 2017, I think your tips were able to give me insight on the vague picture of what internship is like. Somehow I feel reassured. Heehee. Very helpful tips, thank you! I mean, the knowledge that this medical books impart to is will serve as the framework to our practice of medicine.... 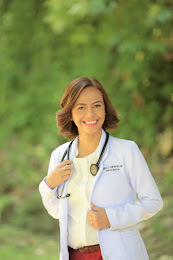 I think the better way to put it is that, the more you read, - in medical school, on to internship, then to residency, and even in medical practice -- the more self-assurance you will get that you will be the better version of the physician that you were the day before. Provided of course, you bear in mind that learning and reading is not enough, we must apply. So let us read like we breathe.